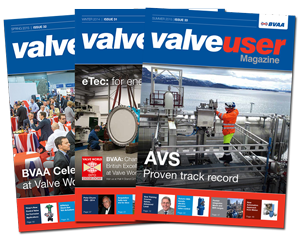 The aftermarket for valves and actuators would appear to be on everyone�s lips at the moment. Certainly it has featured in this magazine several times in the �Your VU� column and was a �hot topic� at the recent strategy meetings hosted by BVAA. True to form BVAA are hot on the case and have already held a number of meetings to discuss repair and related issues. Work has already started on a revision of the existing BVAA guidance document, with a view to developing a new Code of Practice. We are particularly keen at this stage to get the views of users of valves and actuators and related repair services. If you would like to express these views, or get directly involved with the group, where you would be most welcome, please contact rob@bvaa.org.uk. Our next meeting is March 25th 2009.